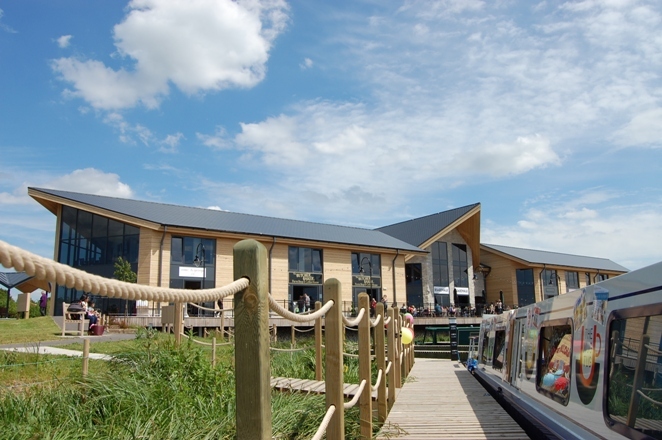 What has the largest inland marina in Europe, not taking “no” for an answer, the first green roof in South Derbyshire and King Richard III got in common? 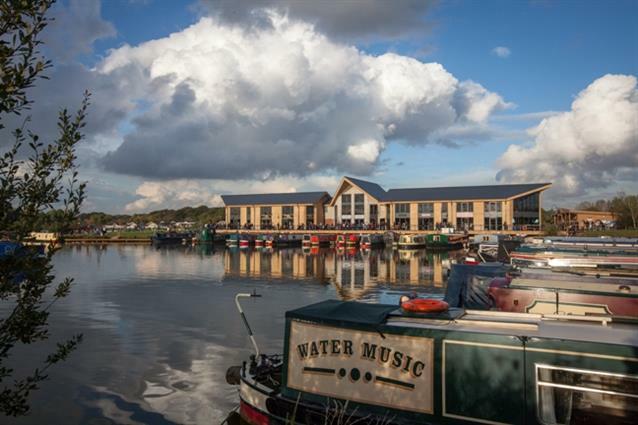 Our client had big plans to create the largest inland marina in Europe on the site of a former fishing lake that they would link up to the canal network by digging a channel from the lake to the canal, this in itself was a major engineering project. 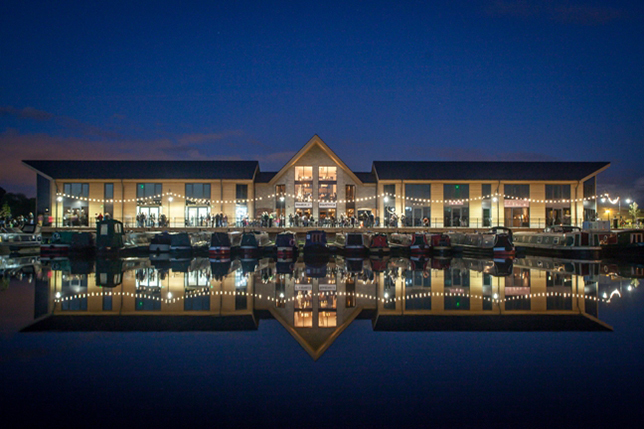 Their original application for planning permission for a Chandlery for boat sales was turned down because the planners wanted a more appealing design solution for a development in such a prominent position along a main road. 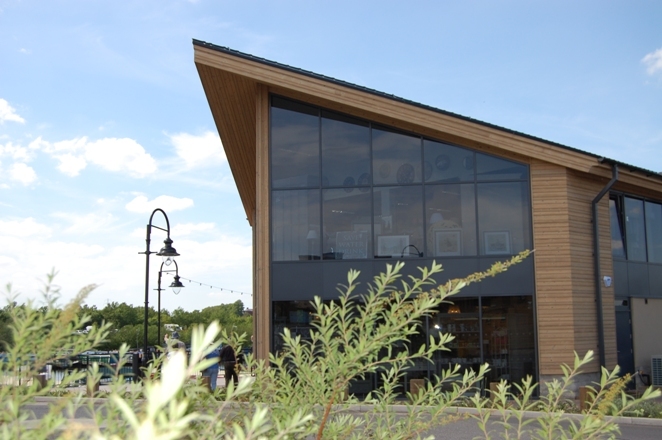 The client asked the planners at South Derbyshire District Council who they could recommend, and they suggested bi Design Architecture would be able to create a more imaginative and contemporary design. Owing to the success of the Chandlery design Bi Design Architecture was asked to design the next phase of the development which were retail outlets, a bistro and offices, which has since been named The Boardwalk owing to our design feature of a raised walkway pier built right on the waters edge, which not only creates a unique feature it also allowed us to maximised the space for car parking. 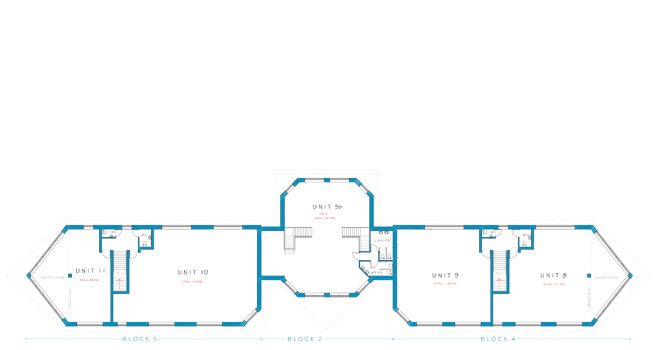 The planning department would not allow office space on the site and were resistant to having retail outlets. We were involved in detailed negotiations with planners and planning consultants and we were able to achieve planning consent for the retail development. 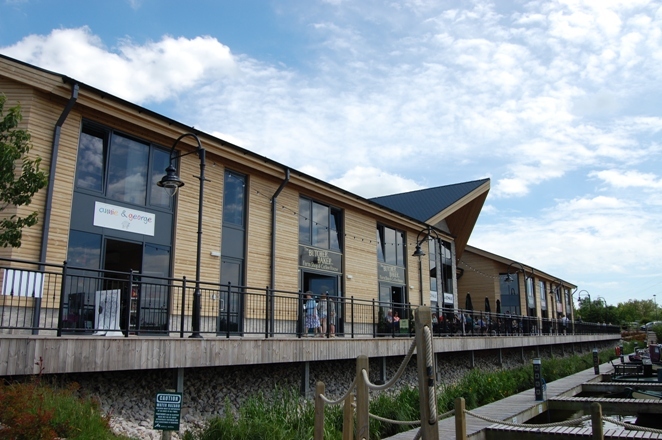 However, this would not enable The Boardwalk to be economically viable, so we again went back to the planners with more building designs and we were then successful in securing planning permission for our client for the retail units and offices that they needed. We went on to design the feature walls at the entrance and the bandstand for our client! To get the best possible outcome for planning permission we will go to great lengths which on this project included our Practice Director, Darryn flying to Poland during the architectural planning stage to look for reclaimed wood that could be suitable for the cladding of The Boardwalk. Our client Madecorn Leisure novated bi Design Architecture to the main contractor Davlyn Construction under a design and build contract. 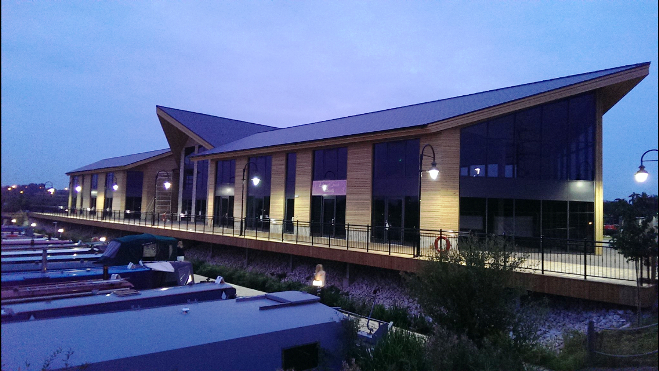 The Chandlery and The Boardwalk were completed on time and on budget. Our delighted client has now asked us to work on Phase 2 of the development coming soon which comprises of a restaurant with offices and retail shops, which will be called the Piazza. 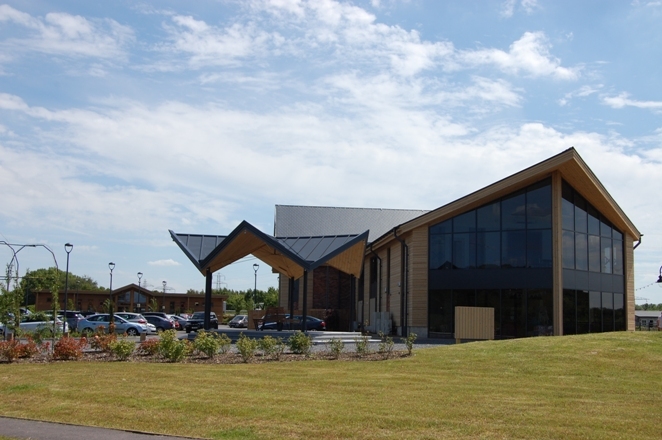 The client, us and the contractor collectively won the Local Authority Building Control (LABC) Building Excellence Award for the Regional Best Small Commercial Building 2015 for our work on this development and we went on to win the Chairman’s Award for Best Building in the Region ahead of the King Richard III Visitor Centre and Derby Velodrome, with the design of the development being a major factor. 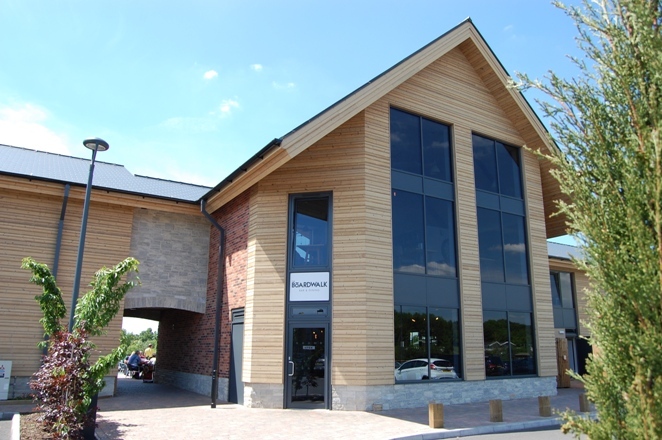 The building was subsequently automatically entered into the national Grand Finals in London of the LABC Building Excellence Award in which it won the best Small Commercial Building 2015 category.